If the set weren’t a cool hundred bucks, I’d consider getting it anyway, but for now I’m going to (try to) resist it. I have a love/apathy relationship with the LoTR movies. I recognize them as cinematic achievements, but the movies are just not compelling for me. I have no real desire to rewatch them, even though I own them. Then again, I always found the books find of hard to get through as well. Oh man. I think most of my excitement is based on the fact that the stories were my first fantasy novels, and that Peter Jackson did them right in his movies. They’re the movies that I sometimes toss in as background noise, but they’re a bit heavy for casual re-watching (like I do w/ the Harry Potter movies). 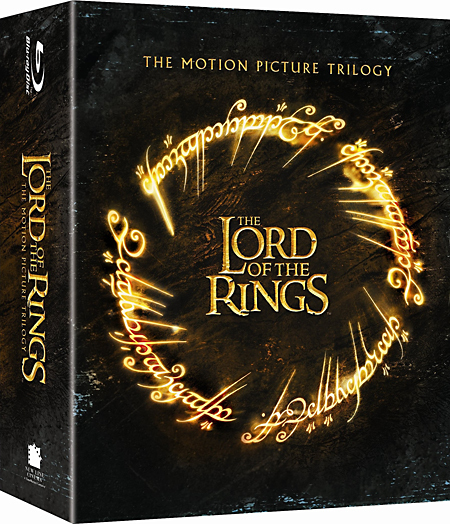 Wow, 7 blurays and no extended edition. That’s pretty weak right there. I’ve decided I’m gonna skip this box set. $100 is too much money to spend knowing I want the Extended Edition, instead.